It is no response to say that the United States doesn’t meddle in foreign elections, because it has in the past - at least as recently as Bill Clinton’s intervention in the Russian presidential election of 1996 and possibly as recently as the Hillary Clinton State Department’s alleged intervention in Russia’s 2011 legislative elections. And during the Cold War the United States intervened in numerous foreign elections, more than twice as often as the Soviet Union. Nothing gets the phony “Resistance,” corporate media and neocons more hysterical than when Trump isn’t belligerent enough while meeting with foreign leaders abroad. While the pearl clutching was intense during the North Korea summit, the reoccurring, systematic outrage spectacle was taken to entirely new levels of stupidity and hyperbole during yesterday’s meeting with Putin in Finland. The clown parade really got going after compulsive liar and former head of the CIA under Barack Obama, John Brennan, accused Trump of treason on Twitter — which resistance drones dutifully retweeted, liked and permanently enshrined within the gospel of Russiagate. Some people hate Trump so intensely they’re willing to take the word of a professional liar and manipulator as scripture. This is the sort of hero the phony “resistance” is rallying around. No thank you. It wasn’t just Brennan, of course. The mental disorder colloquially known as Trump Derangement Syndrome is widely distributed throughout society at this point. Baseless accusations of treason were thrown around casually by all sorts of TDS sufferers, including sitting members of Congress. To see the extent of the disease, take a look at the show put on by Democratic Congressman from Washington state, Rep. Adam Smith. “At every turn of his trip to Europe, President Trump has followed a script that parallels Moscow’s plan to weaken and divide America’s allies and partners and undermine democratic values. There is an extensive factual record suggesting that President Trump’s campaign and the Russians conspired to influence our election for President Trump,” Smith, a top Democrat on the House Armed Services Committee, said in an official statement. Those are some serious accusations. He must surely have a strong argument to support such proclamations, right? Wrong. Turns out it was all show, pure politics. 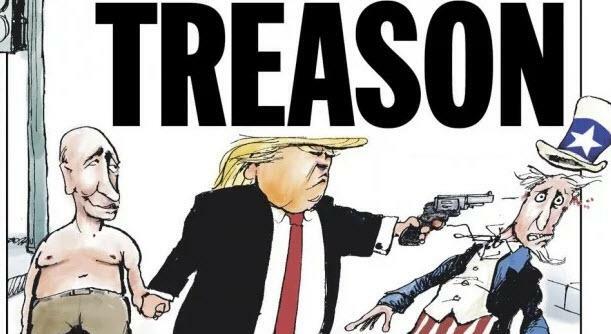 In an interview with The Seattle Times, Smith expanded on his “treason” comment, saying Trump legally did not commit treason but has committed other impeachable offenses. It says a lot that the resistance itself doesn’t even believe its own nonsense. They’re just using hyperbolic and dangerous language to make people crazy and feed more TDS. Here’s yet another example of a wild-eyed Democratic Congressman sounding utterly bloodthirsty and unhinged. Rep. Steve Cohen of Tennessee is openly saying the U.S. is at war with Russia. “No question about it,” Cohen told Hill.TV’s Buck Sexton and Krystal Ball on “Rising” when asked whether the Russian hacking and propaganda effort constituted an act of war. “It was a foreign interference with our basic Democratic values. The underpinnings of Democratic society is elections, and free elections, and they invaded our country,” he continued. Cohen went on to say that the U.S. should have countered with a cyber attack on Russia. “A cyber attack that made Russian society valueless. They could have gone into Russian banks, Russian government. Our cyber abilities are such that we could have attacked them with a cyber attack that would have crippled Russia,” he said. This is a very sick individual. While the above is incredibly twisted, it’s become increasingly clear that Russiagate has become something akin to a religion. It’s adherents have become so attached to the story that Trump’s “wholly in the pocket of Putin,” they’re increasingly lobbing serious and baseless accusations against people who fail to acquiesce to their dogma. I was a victim of this back in November 2016 when I was falsely slandered in The Washington Post’s ludicrous and now infamous PropOrNot article. 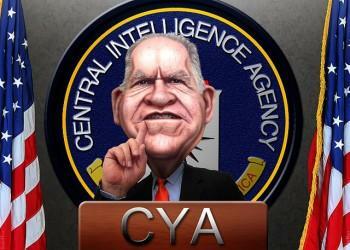 Russiagate is becoming a religion, and the intelligence agencies are its church. More recently, we’ve seen MSNBC pundit Malcom Nance (ex-military/intelligence) call Glenn Greenwald a Russian agent (without evidence of course), followed by “journalist” David Corn calling Rand Paul a “traitor” for stating indisputable facts. Calling someone a traitor for stating obvious facts that threaten the hysteria you’re trying to cultivate is a prime example of how this whole thing has turned into some creepy D.C. establishment religion. If these people have such a solid case and the facts are on their side, there’s no need to resort to such demented craziness. It does nothing other than promote societal insanity and push the unconvinced away. It’s because of stuff like this that we’re no longer able to have a real conversation about anything in this country (many Trump cheerleaders employ the same tactics) . This is a deadly thing for any society and will be explored in Part 2. If you liked this article and enjoy my work, consider becoming a monthly Patron, or visit the Support Page to show your appreciation for independent content creators.